A businessman whose office was robbed yesterday morning is questioning why Police did not respond to calls from security guards when the robbery was taking place. Samuel Shankar, managing director of Media Partners and the Jet Newspaper, wants answers on how Police officers came to his office, took statements but did not dust for finger prints. The robbery took place around 4.20am. “Two security guards from Lale’s Service Station could be seen on CCTV making calls but no Police arrived,” Mr Shankar said. 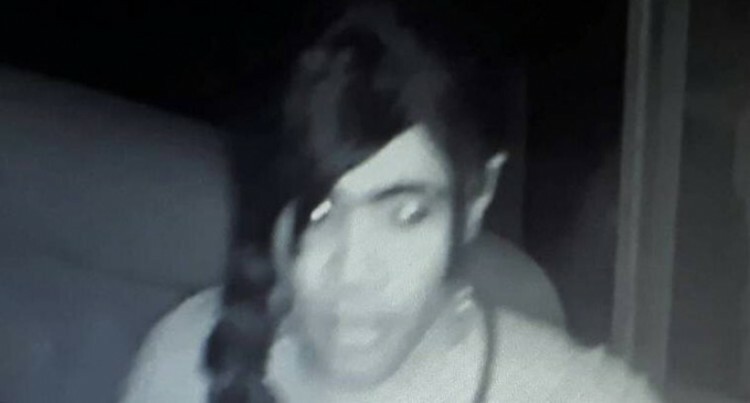 Police spokesperson Ana Naisoro confirmed the incident to Fiji Sun and said they were investigating because they now have the CCTV footage and photos of the thief. Mr Shankar said the suspect, who made off with two cameras, a lens, a hard drive and a laptop, had switched off power for the entire building, thinking that the CCTV cameras would not operate but did not know it was running on battery. “The suspect knew exactly where everything was in the office just by looking at the footage,” he said. The CCTV footage also showed at least four men, including the suspect trying to open the front door on Monday at around 8.30pm. Then at around 4.15am yesterday, there was movement and then the cameras in the office caught the suspect heading straight for the Finance Office and then entering the second office looking for the cameras. The footage also showed the suspect using a gas lighter to move around. “The suspect knew exactly where the cameras, hard drive and laptop were,” Mr Shankar said. He estimated loss close to $12,000, which includes the missing items, damage to the front window and loss of income for Monday.